AT&T's agreed to drop $2.5 billion into the pockets of Aloha Partners for a sizable chunk of the 700Mhz spectrum—12 megahertz worth covering 196 million people in 281 markets. It's the same frequency that the FCC will be auctioning off licenses to in just a couple of months. 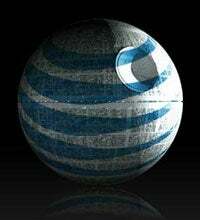 AT&T says they haven't decided what they're going to do with it yet—but honestly it seems like they'd have an idea of what they wanted to do with something they paid $2.5 billion for.